Not that this came as a surprise to me, but a major focus of this trip was food. Many people seem think that just because you are in Italy, amazing food is going to be all around you and all you consume. 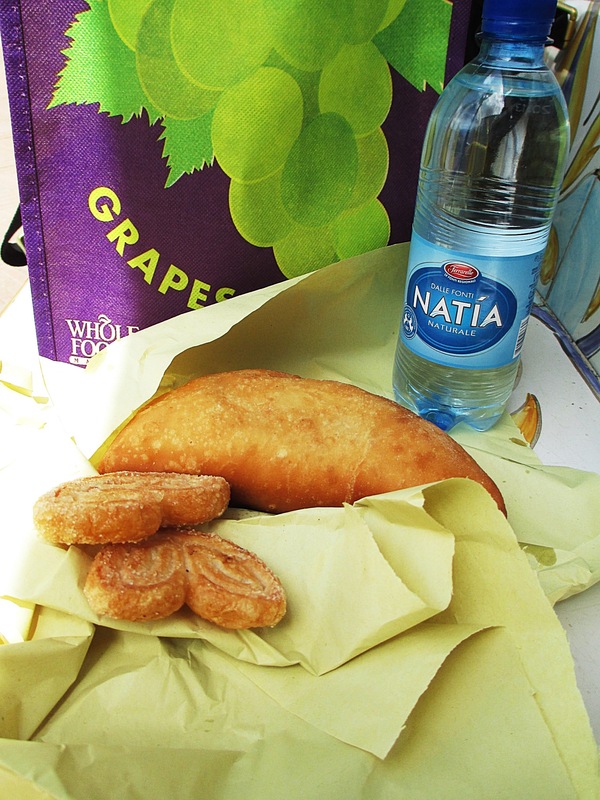 Like anywhere, food in Italy varies. Not every bite you put in your mouth is worth the calories or the euro….so I tried to be selective. I researched, talked to locals, checked out plates as I passed. However, some of my best bites were serendipitous.. Grazie mille San Lorenzo! As I answer my own “Best of Food” questions, I am not looking back at photos for reminders. These answers are based solely on sweet (and savory) memories! I’ll start with the question I get most, “Where did you have the best pizza?” Without a doubt it was in Sorrento. Even though Sorrento is not on my list of cities to return to, catching a train just to eat at Franco’s is! I loved the whole vibe here; a little retro but definitely cutting edge, clean and crisp. 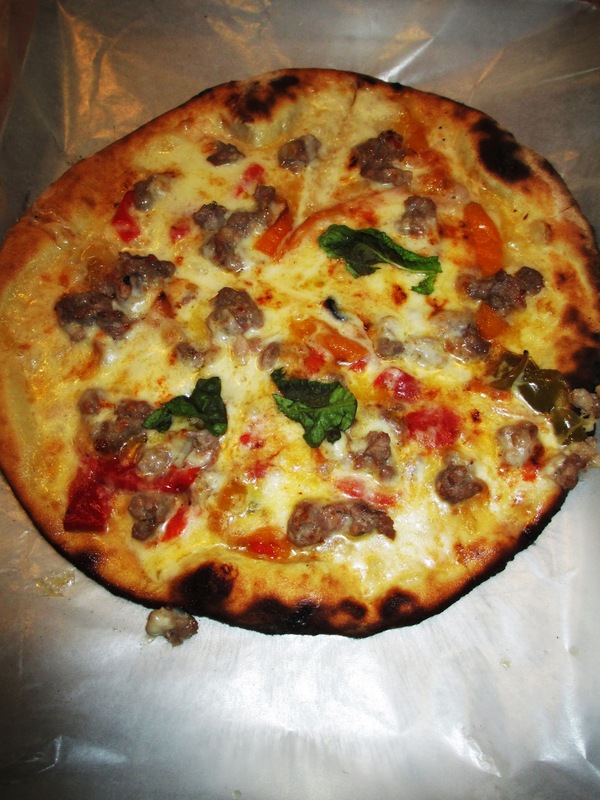 Presentation is spot on and taste….molto buono! Best Pasta– Gnocchetti fatto a mano…..le mie mani!! I am sure the fact that I/we made this in our cooking class and the love and laughs that went into the preparation flavors my perspective…..but this truly was the best pasta I had during my trip. I could have easily made myself sick on it. But being in the company of “strangers” and needing to save room for all the other dishes we prepared, tempered my portion. On my first Sunday back home, I prepared this for my family. It received rave reviews here as well. This is one of those places I roamed into. The calamari was the freshest I have ever had. It is pretty much a given now that I love my food in a paper cone. This category has a three-way tie. All three are here due to the quality of food but also because of the personal attention/willingness to interact, and for me, both are key in creating a memorable experience. 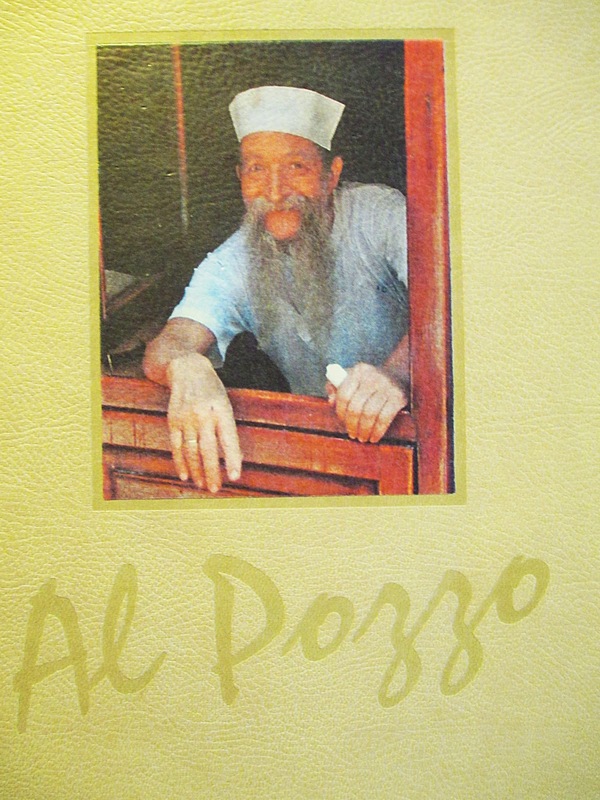 Al Pozzo has previous memories attached to it. I have enjoyed beautiful evenings seated in the street here my family. I have a photo of Chef Gino preparing his famed frutti di mare risotto (which I have yet to try). Both of my children fell in love with gamberetti gnocchi here. Wonderful memories can be a tough thing for a place to live up to as well. 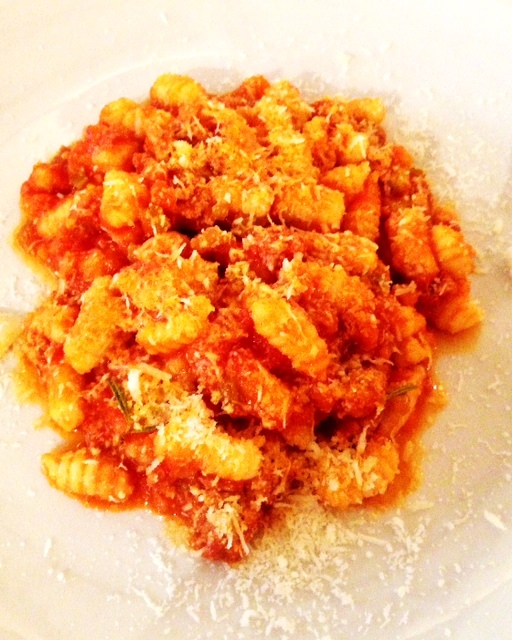 On my first night in Monterosso, when being presented with my gamberetti gnocchi, my heart fell…. the gnocchi failed to sport its tell-tale ridges. I guess as a time saver, instead of hand rolling each gnoccho on the ridged board, they stopped at the step before, creating a less appealing looking dumpling. I so wanted to inquire, but I knew my question could only be taken as a complaint (which to be honest….it would have been) and I chose to make new memories instead of trying to relive past ones….that’s growth huh!? 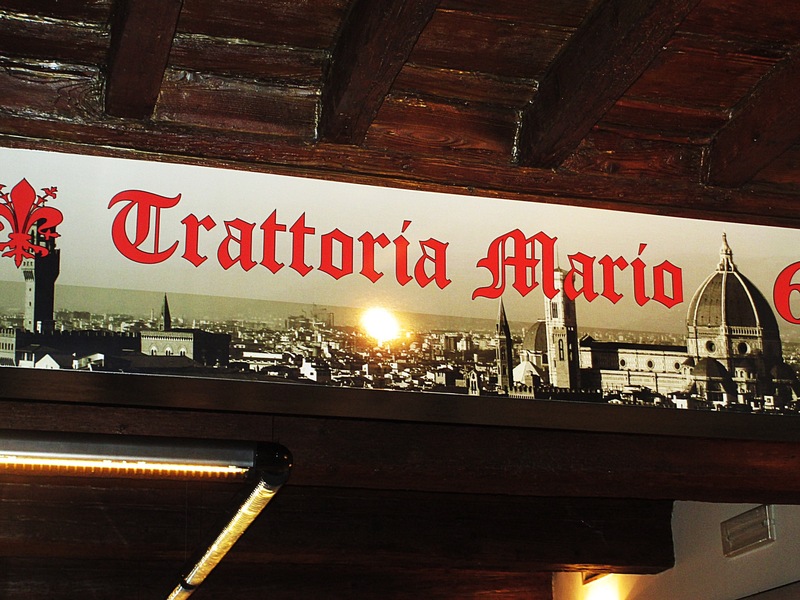 Trattoria Mario is just one of those special places. 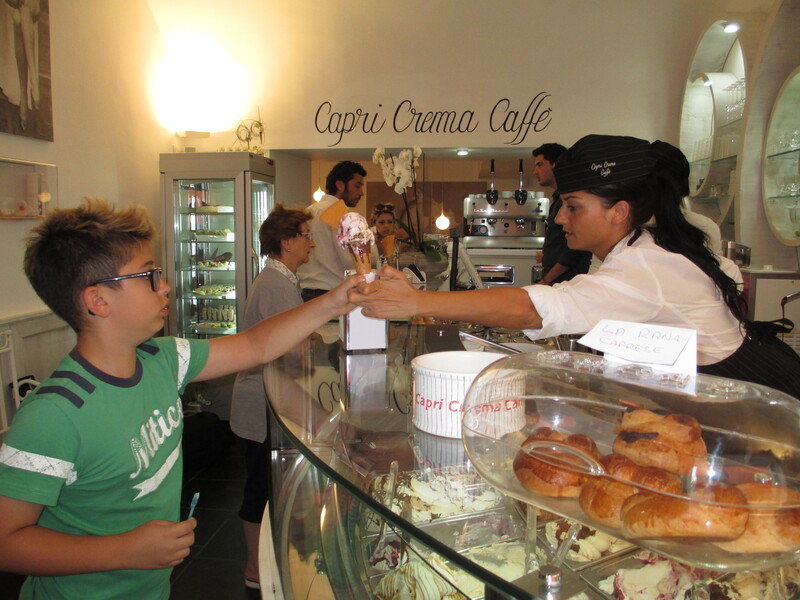 Yes it is packed with tourist that have read about it, but it is run by locals that I think are there for the locals….we just happen to be a byproduct of their love of Firenze and its food. Now Trattoria Katti is all me. I did not read about it, I did not hear about it, I just roamed into it and I am so glad I did. As you know, I enjoyed a dinner there twice. 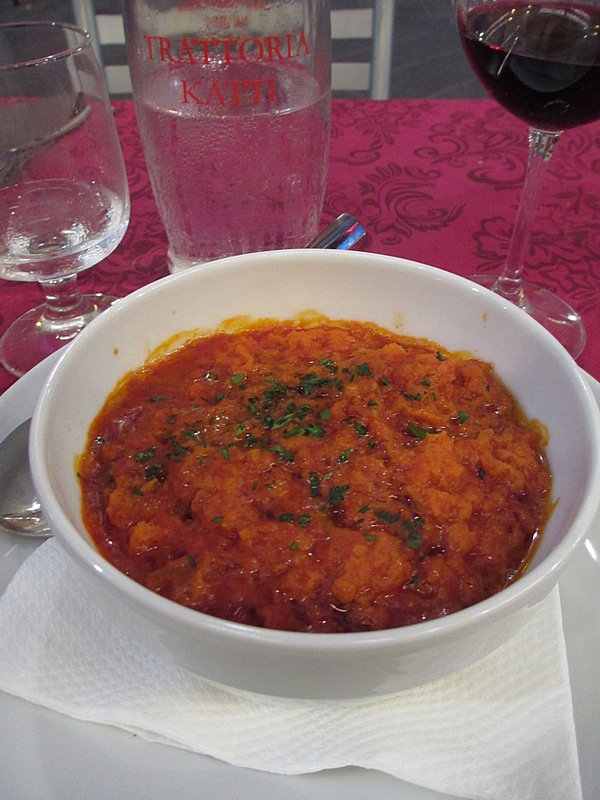 Both times the food was very good, but the dish that put it over the top for me was the Pappa al Pomodoro. I have since longed for a spoonful often!! The fact that when I would walk by (countless times…it was on “my street”) and Katti or her mamma would see me and say “Ciao!” didn’t hurt either. I had a lot of wonderful food during my trip…if I look back through my photos, I am sure I would add more to my list, but again….I am going with my memory and my gut here. 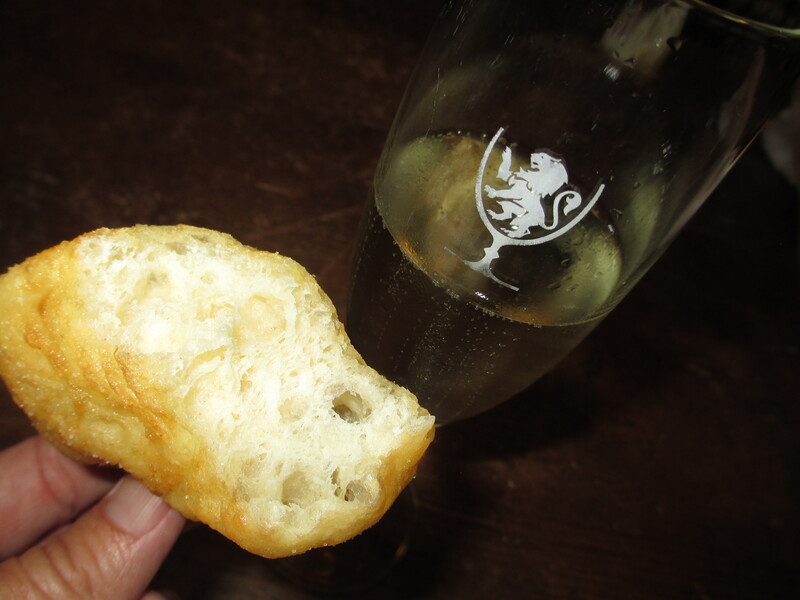 OK…there is a trend here….more fried dough. Hey, I am not proud…IS there anything better!? I have yet to make these, but I do have a happy hour on the books and am planning to serve Aperol Spritz and these! 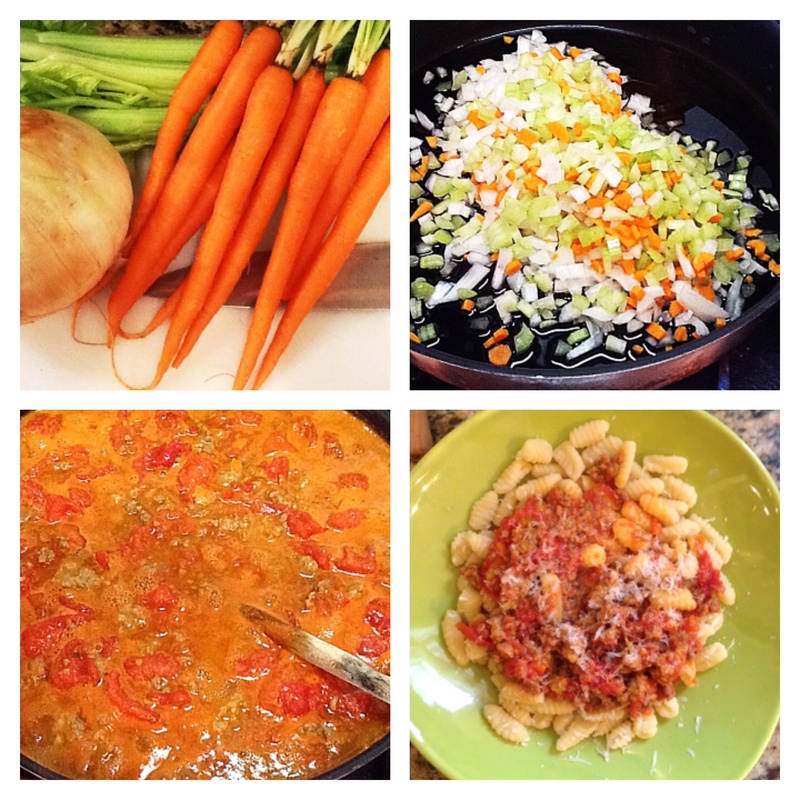 I have already shared the photo of Papa al Pomodoro, but it makes the list again…. 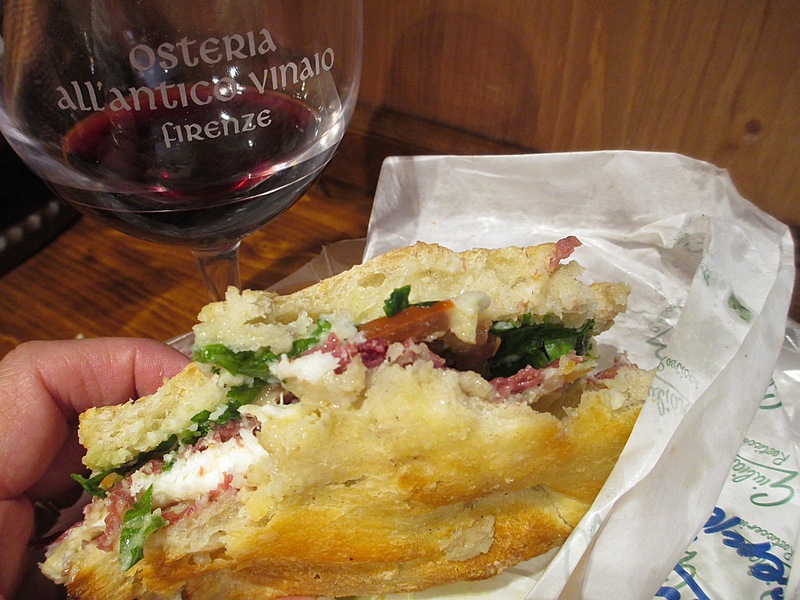 And last, but certainly NOT least was my amazing panino in Firenze…. Once again rewarded for roaming on! 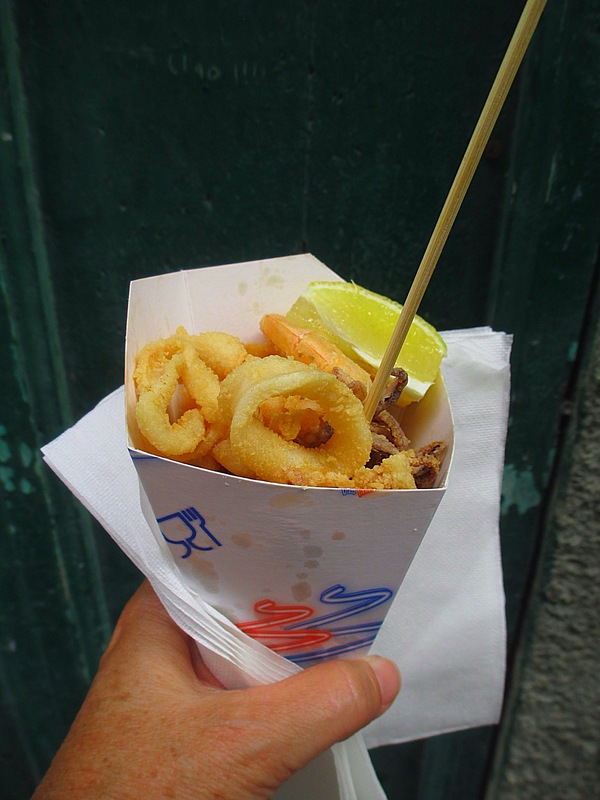 You will notice that most of my BEST BITES are from my eats in Firenze…another reason the city is a fav of mine! 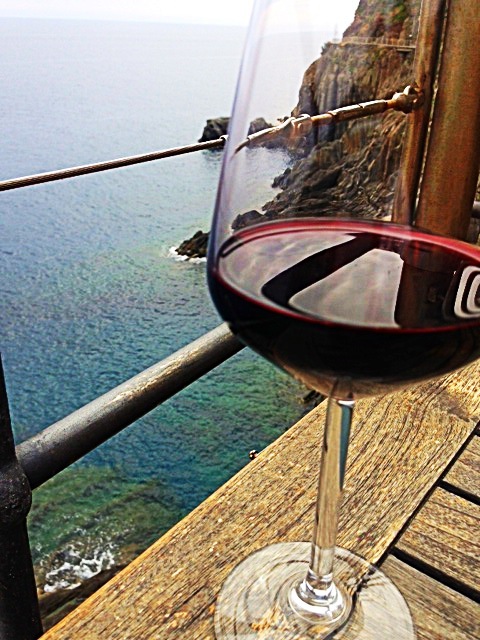 During my previous trip to Italy with my mom and kids, I would look at people just sitting, enjoying a glass of wine or an aperitif, perhaps reading a book….I longed for that experience, that pace. This trip, I enjoyed many such moments. I am thankful for the tip to look for a Pie’ de Ma….it isn’t a place you would just stumble on. Definitely a place to return to. 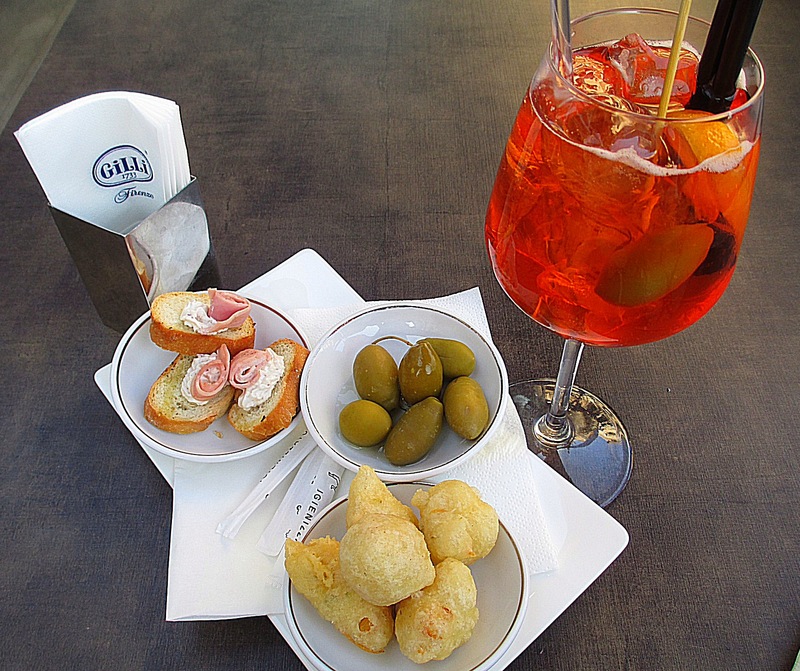 My first Aperol Spritz…and more coccolo! Heaven or What!? During my evening at Gilli, I just kept pinching myself….I was so happy. Seated outdoors overlooking Piazza della Repubblica…people watching…pretty much heaven for me. 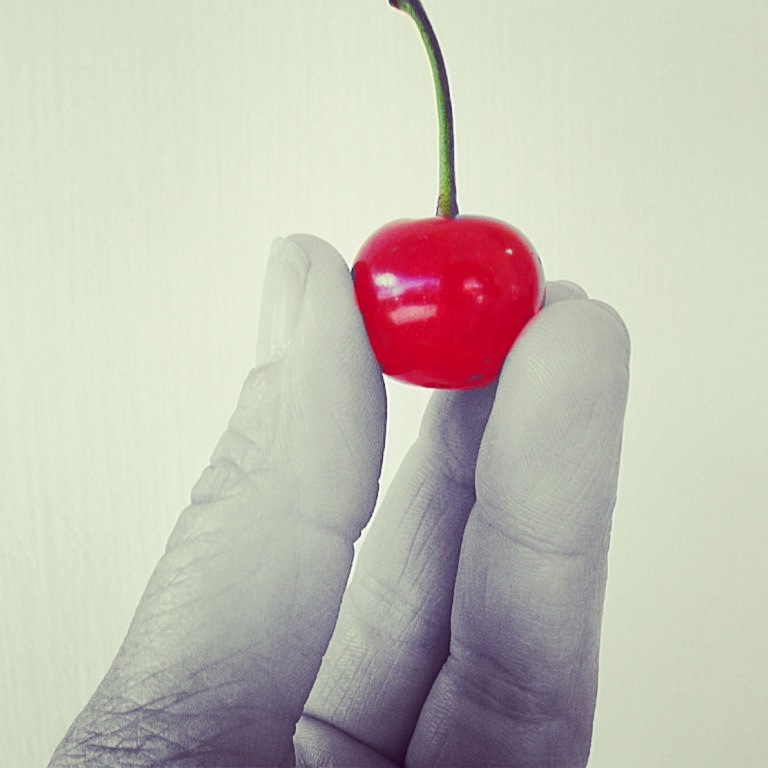 I know you are probably thinking, “How can cherries be a discovery?” Well, I am not a fruit person. As I have gotten older, I have tried to broaden my fruit horizons (remember the fig….). I tend to be attracted to “pretty things”. When I was younger, I put a tomato slice on my plate simply because I thought it needed the color. So with cherries being in season, stacked and piled at every stand…I had to. And once again…rewarded. Cherries became my staple snack. I am sad to say that I bought some here at home…and they did not compare. The moral of my italian eating is that fresh is key….my anchovy experiences speak to that as well! I know I am leaving something (many things) out…I could probably give everything its own category….my picnic on the beach in Monterosso….so perfect….the limoncello Franco unlocked from his “private collection”….so-a strong-a and-a so-a beautiful-a!….the warm, oily bag of pane in Trastevere…..ALL my CAPRESES!!!….. My plan is one more post from this trip….The Best of…THE REST. 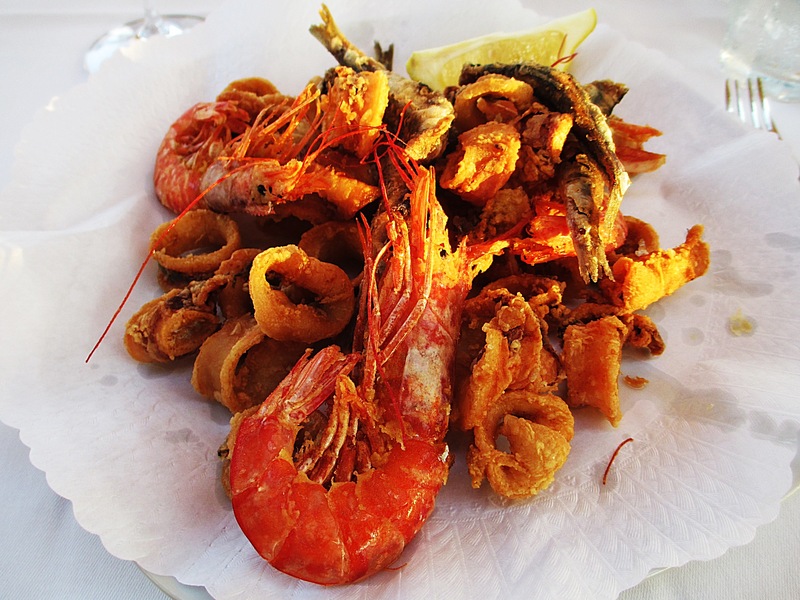 This entry was posted in Uncategorized and tagged Anacapri, Best Foods in Italy, Cinque Terre, Firenze, Florence, Food, Italy, Monterosso, Sorrento by paigetc. Bookmark the permalink.